As long term readers will known, as well as London, my father also took lots of photos outside of London during National Service and through the only realistic travel option to see the country in the post war period – cycling between Youth Hostels. There are a limited number of photos from each place visited, film was expensive and there was not much storage space when you were cycling away from home for several weeks. As well as the London photos, I am also trying to identify and visit the locations of all these photos. Therefore, for this week’s post I am travelling down to Salisbury. Salisbury is a cathedral city in Wiltshire, located at the point where several rivers meet to join the River Avon. The cathedral is the focal point of the city, a beautiful medieval building with the highest spire in the country. 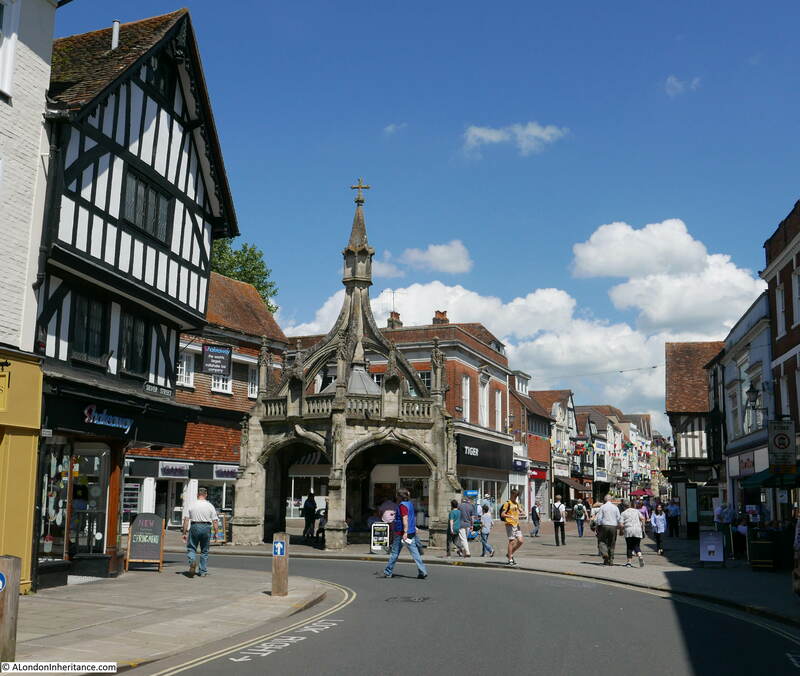 Although part of Salisbury has suffered from the mania of a few decades ago to rebuild city centres with pedestrianised shopping centres, much of Salisbury has survived and it does still retain the feel of a small country town. My father cycled through Salisbury in 1949, whilst cycling from London to Cornwall and stopping at Youth Hostels along the way. The route has already passed through Winchester and Stonehenge and Salisbury was a short distance to cycle further south. The first photo is of the Poultry Cross. Salisbury originally had four crosses, each marking the location where specific market produce was sold. As well as the Poultry Cross there was a Cheese Cross, a third cross marked the location for the sale of wool and a fourth cross, Barnwell Cross marked the location for the sale of livestock. 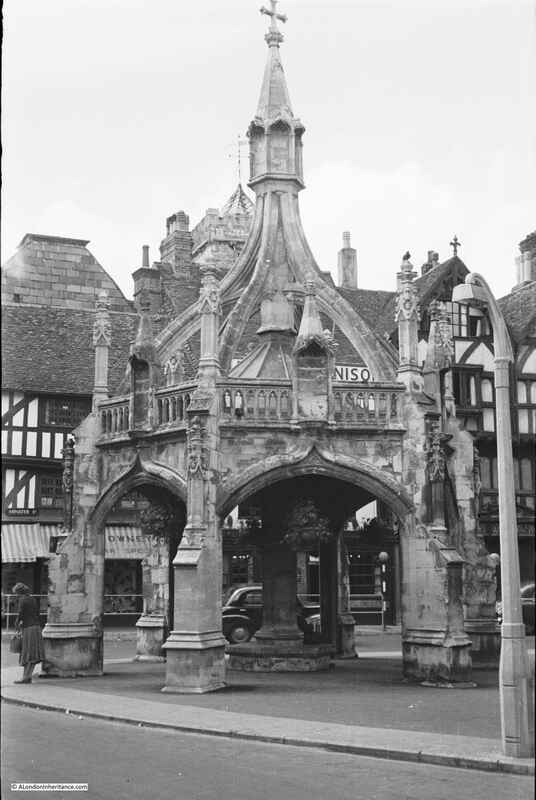 The Poultry Cross is the only surviving one of the four crosses. The first mention of a cross being here was in 1307 and the first written record of the name occurs in the following century. 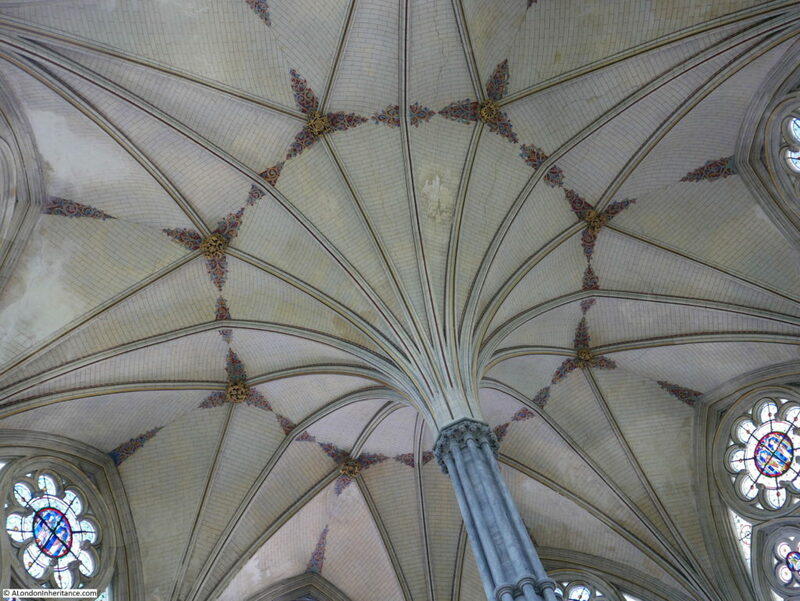 The core of the cross is the original, the side wall, buttresses and canopy are later additions. There is a J.M.W. Turner painting of the cross from around 1800 which shows just the central cross and the side walls. The painting can be found here. There have been minor changes to the surrounding buildings and the street in my father’s photo (Butcher Row that runs in the lower part of the photo from left to right) has now been pedestrianised. 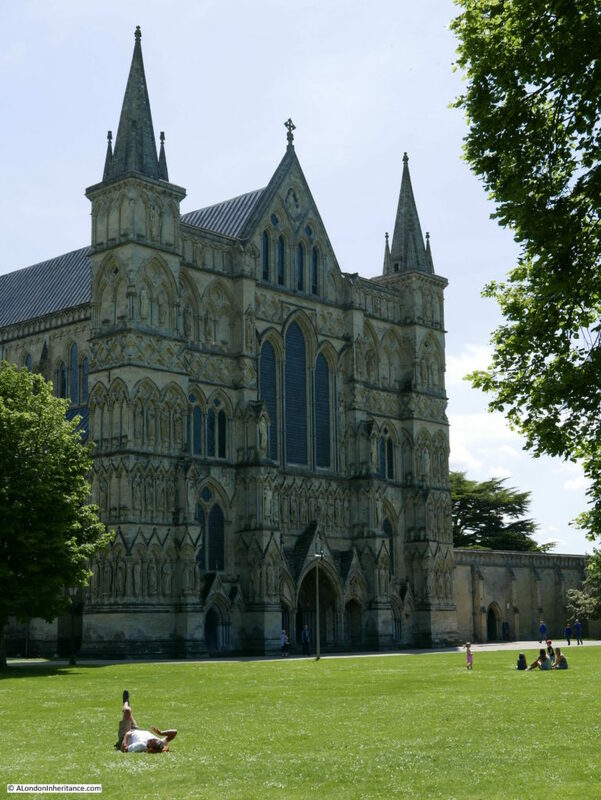 Salisbury Cathedral is enclosed within a large space, part of which is the Cathedral Close. 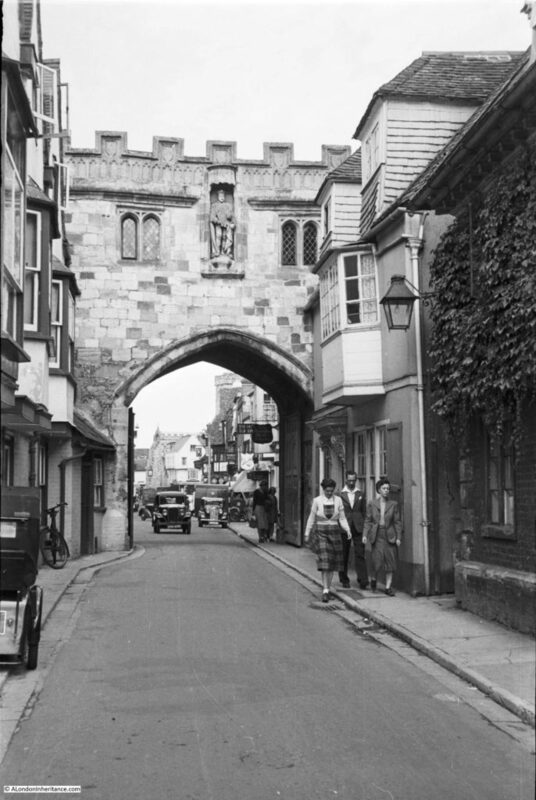 The entrance to the Close from the High Street is through the High Street Gate. This was built between 1327 and 1342 and is still in use as a gate, being closed at 11pm and opened at 6am. 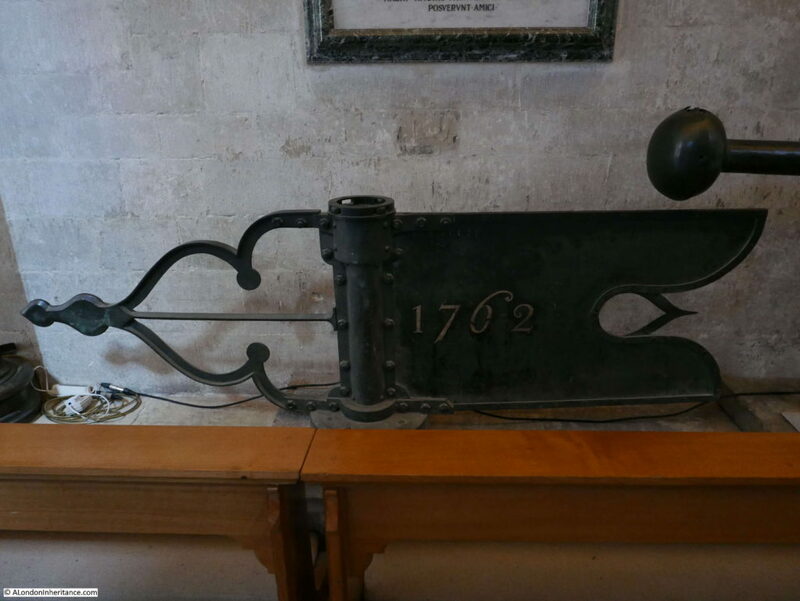 As well as controlling access to the Cathedral Close, the gate also housed a small lock-up for those committing a crime in the cathedral grounds. 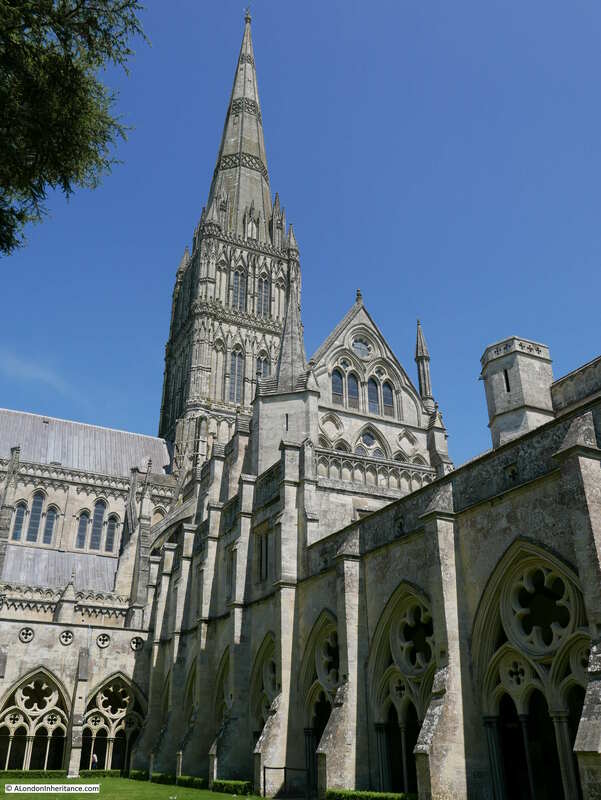 Construction of Salisbury Cathedral started in 1220 in order to build a new church to replace the one at Old Sarum that had been built just after the Normal invasion in the centre of an Iron Age hill fort just a few miles to the north. 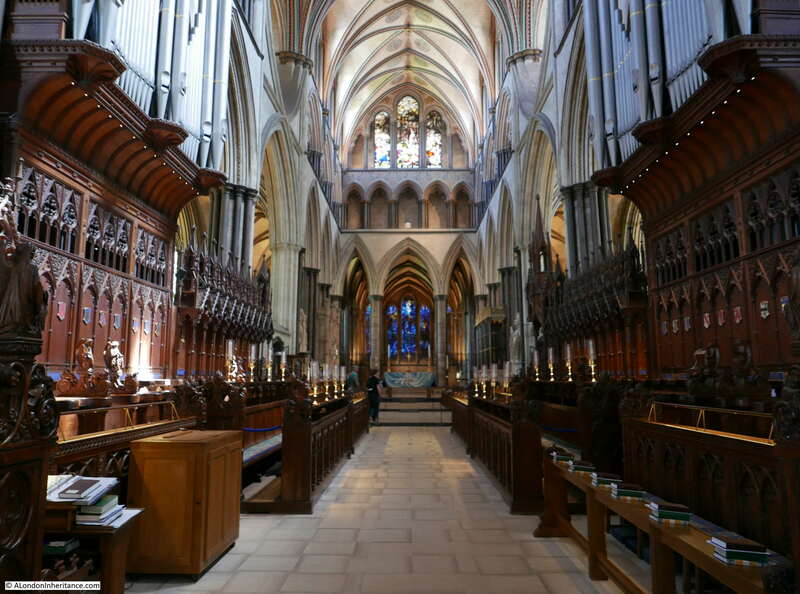 The cathedral was consecrated in 1258 and rest of the cathedral (with the exception of the spire) completed by 1266. 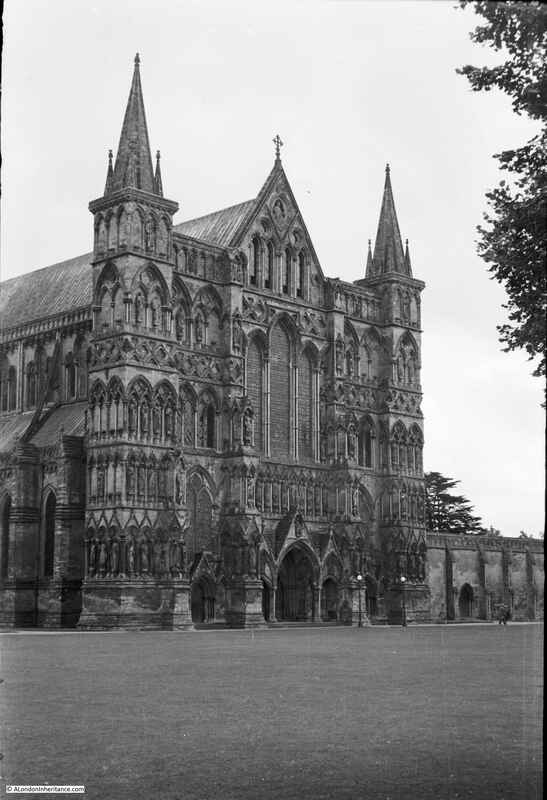 Given that Salisbury Cathedral has been here for almost 800 years, the 68 years between my father’s photo and my visit is a relatively very short period of time. Standing here it does make you think about all the generations who have also looked at the same view of the cathedral. The tower and spire were built between 1300 and 1320, and the spire is the highest cathedral spire in England at 404 feet. The spires of Lincoln Cathedral and St. Paul’s Cathedral were originally higher, but as both these buildings have since lost their spires, Salisbury Cathedral now holds the record. 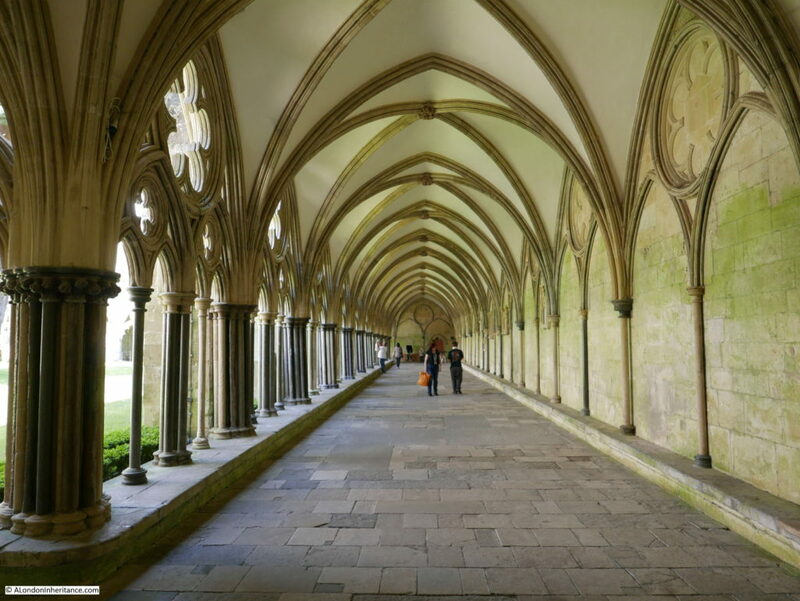 Salisbury Cathedral is a wonderful example of a medieval church, historically and architecturally impressive both inside and out. After a walk around the church it was time to explore inside. 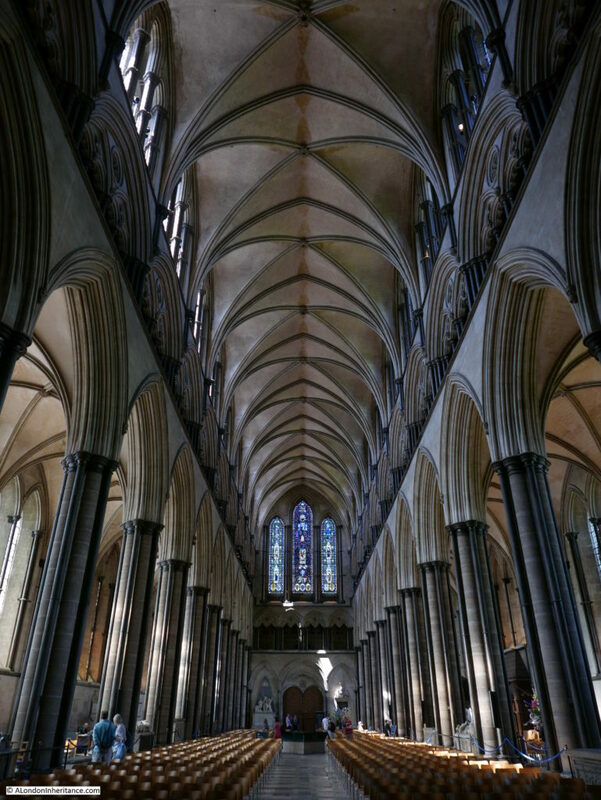 Salisbury Cathedral originally included a stand alone Bell Tower located between the Cathedral and the High Street Gate. 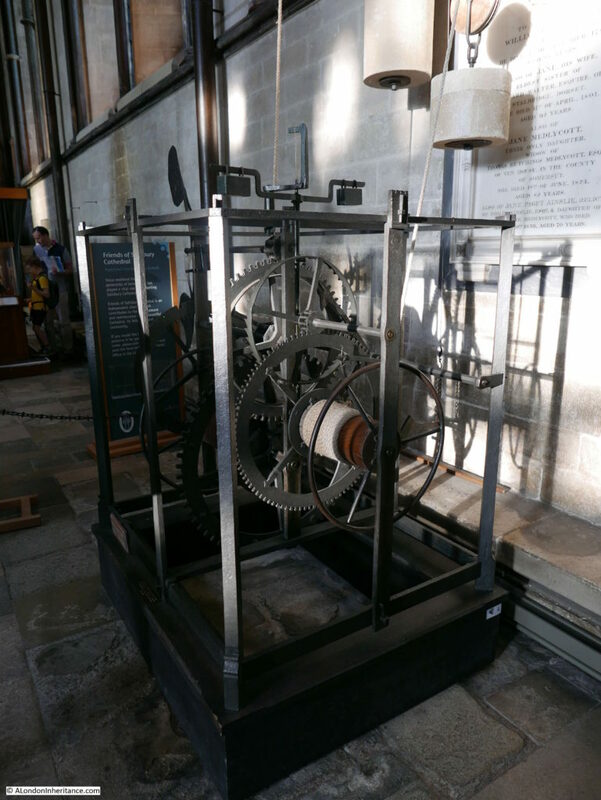 The Bell Tower was demolished in 1792 and the original clock within the tower that dates from around 1386 was moved to the main cathedral building and worked in the cathedral tower until 1884. It was then stored, but rediscovered in 1929 when it was moved into the main body of the church. Repair work was needed in 1956 and following completion it was moved to its current position from where it has been in continuous operation. The artist and illustrator Rex Whistler lived in the Cathedral Close until his untimely death at the age of 39 whilst leading his troop of tanks into action on the Normandy Beaches in 1944. A memorial to Rex Whistler in the form of an engraved prism can be found within the cathedral. 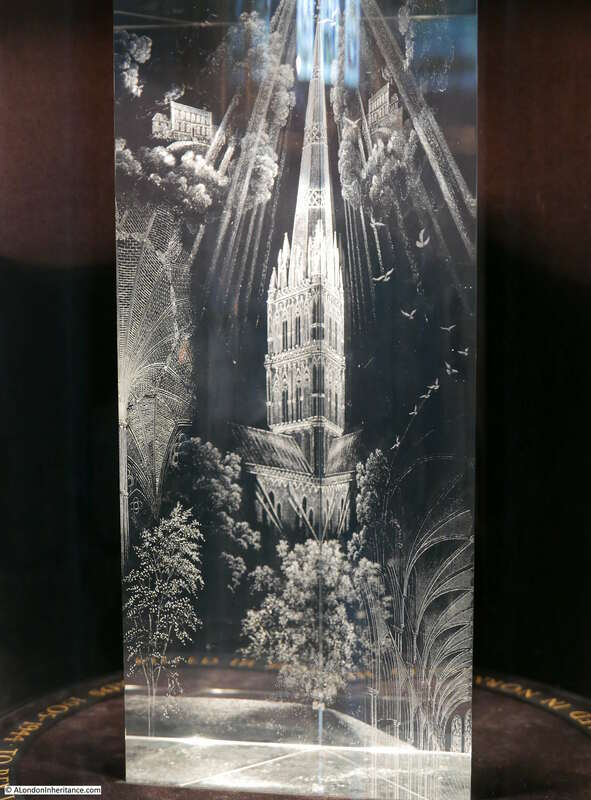 The prism was engraved by Rex’s brother Laurence who died in the year 2000. There is so much about the cathedral that can be classed as the finest remaining medieval example of its kind. This includes the tomb of Giles de Bridport who was the Bishop at Salisbury at the time of the cathedral’s consecration in 1258. 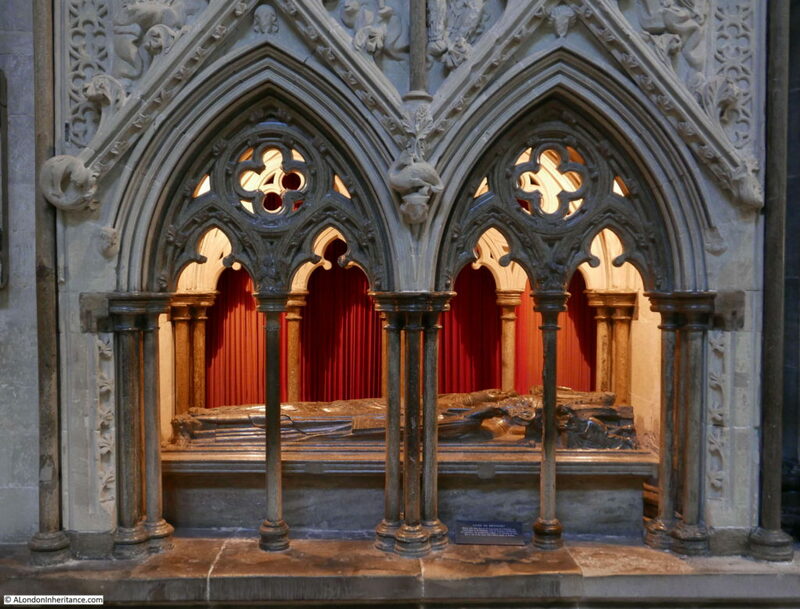 He died in 1262 and his 13th century tomb is still well preserved in the cathedral. During my visit to Salisbury Cathedral, the cathedral library was open for a small art exhibition, which was good however I always love seeing old books. The oldest book held by the library dates from the 9th century. 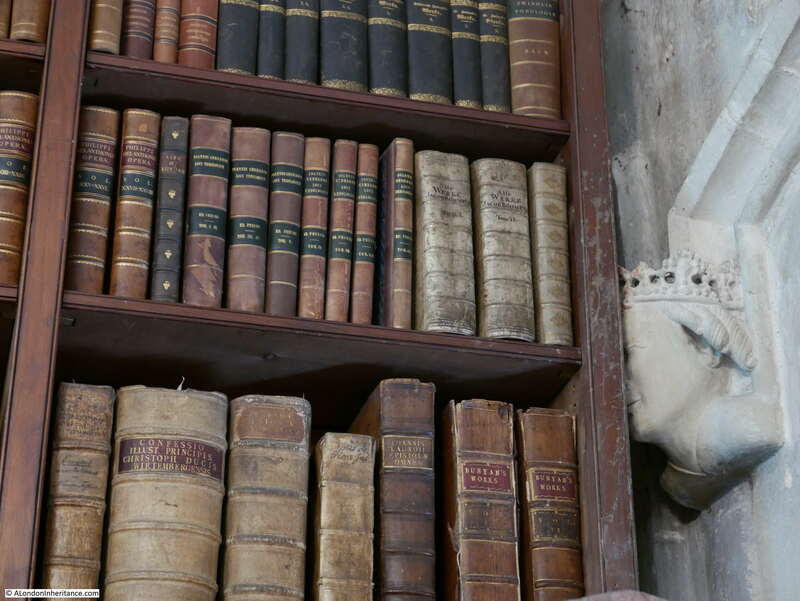 Many of the books were originally chained. 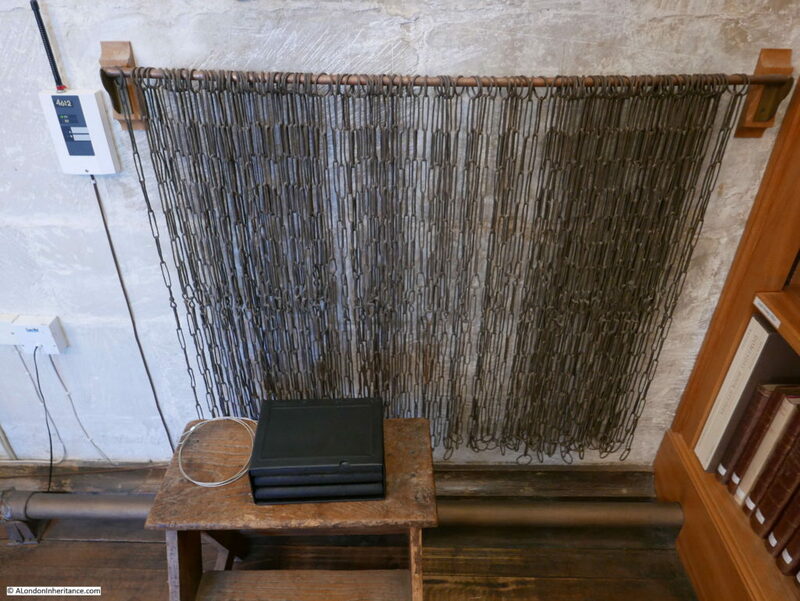 This method of securing books is not is use today, although the original chains are still stored in the library. 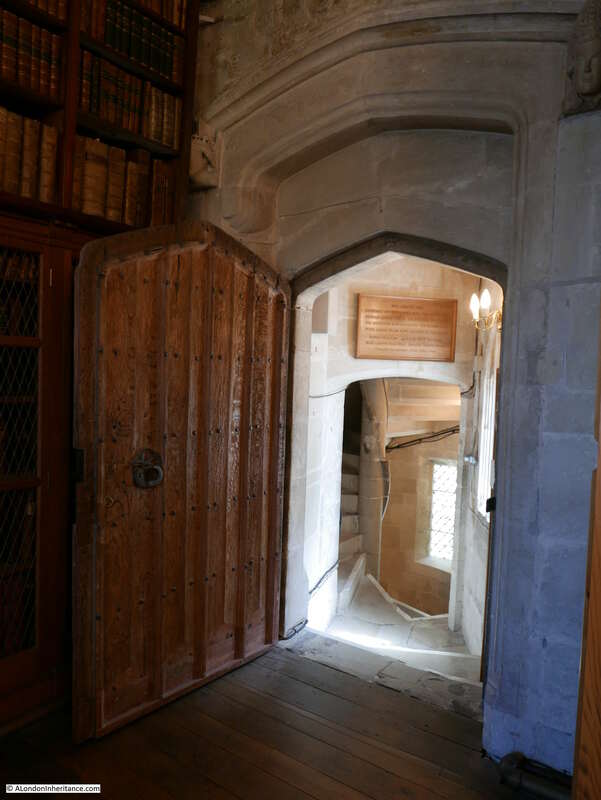 Entrance to the library through a small circular staircase from the ground floor. 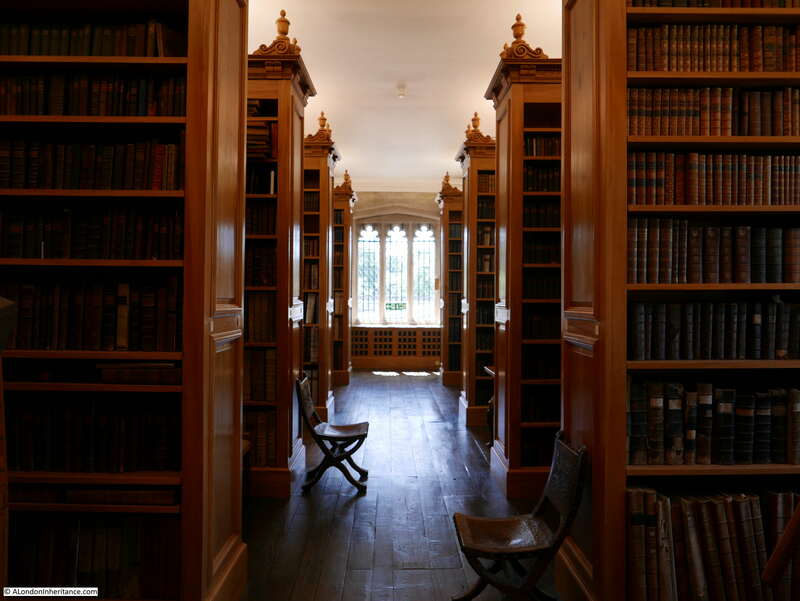 Wood to build the bookcases was donated by Henry VIII, although his bust at the top corner of the door in now obscured by the edge of one of these bookcases. I suspect he would not be pleased. 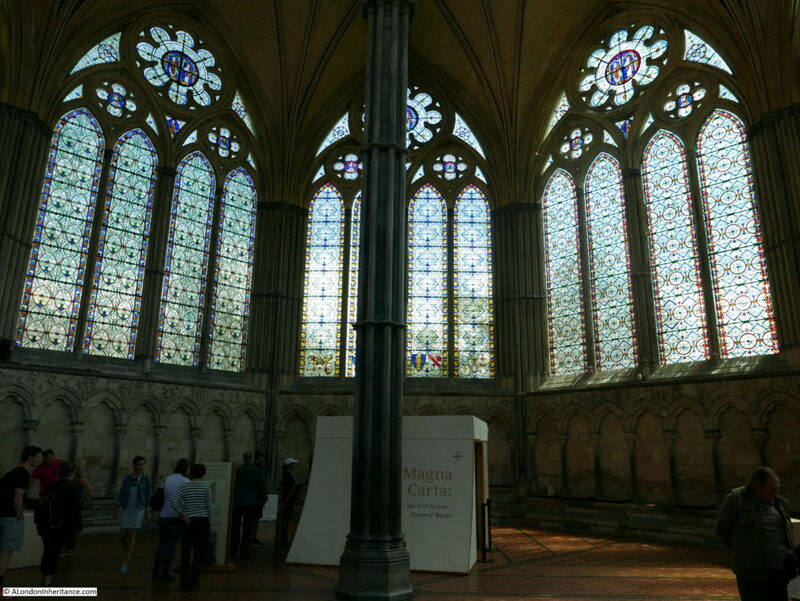 The Chapter House of the cathedral had on display Salisbury Cathedral’s copy of the original 1215 Magna Carta. 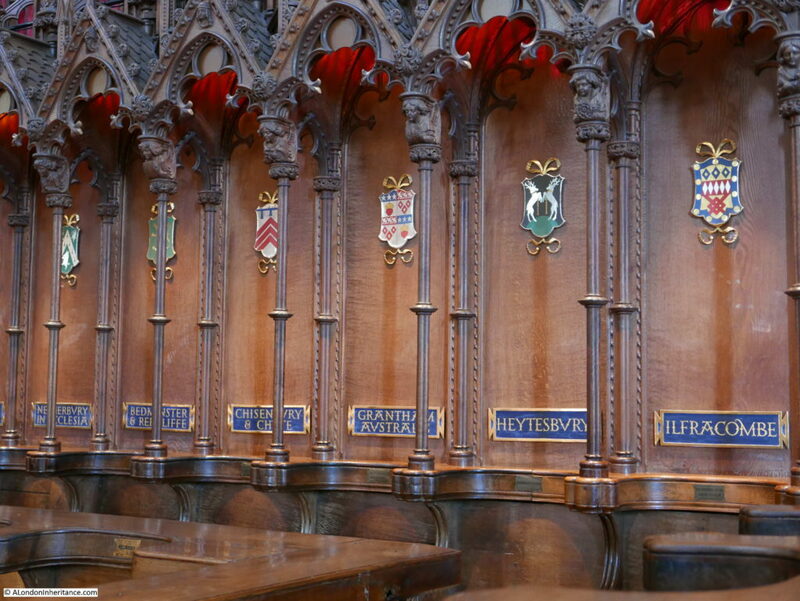 This is apparently the best of the four remaining copies and is protected within a small viewing gallery in the centre of the Chapter House so that the copy is protected from light. I have not seen the other three copies, however the copy on display is very well preserved and fascinating to see a document of such age and importance. The Cloisters that run around an enclosed garden also add to Salisbury Cathedral’s list of records as they are apparently Britain’s largest Cloisters, and having walked along all sides I was in no position to argue. 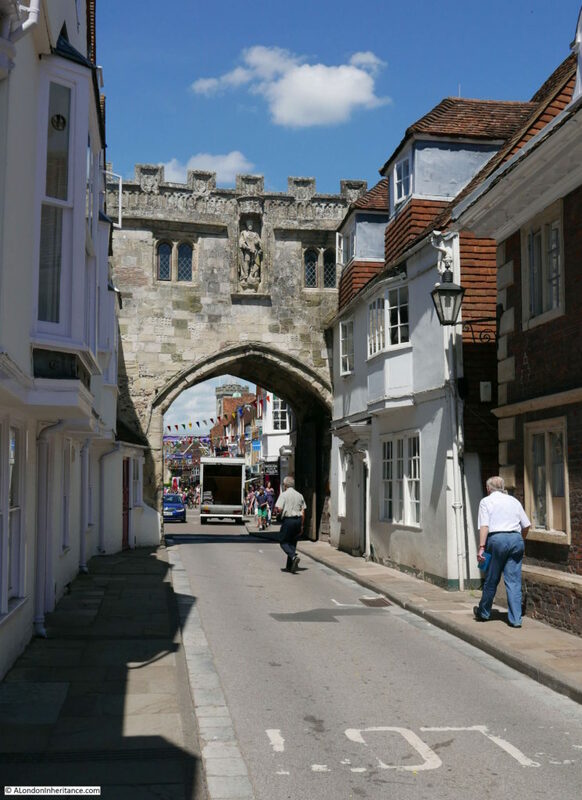 Leaving the cathedral, I walked back through the Cathedral Close to see the other side of the High Street Gate. 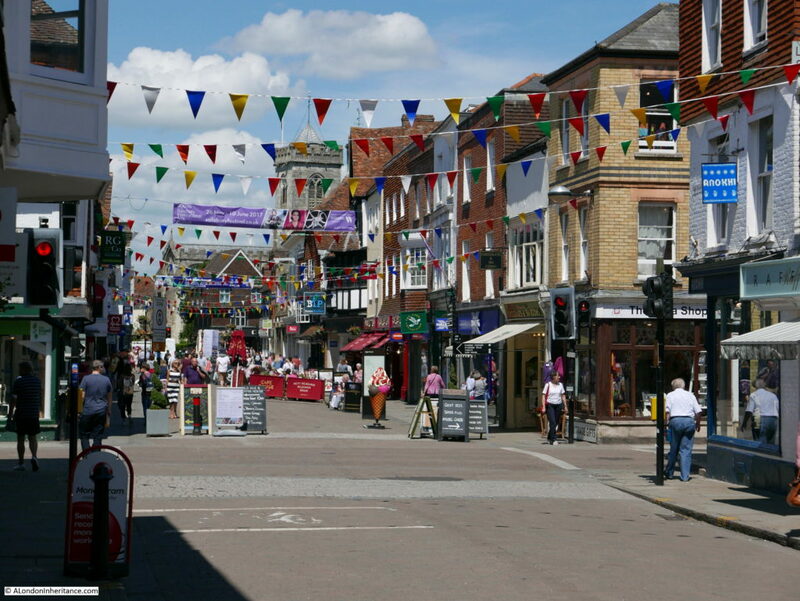 The view down the High Street provides the impression of a small town decked out for summer. At the end of the High Street, turning right into Silver Street takes me back to the Poultry Cross. 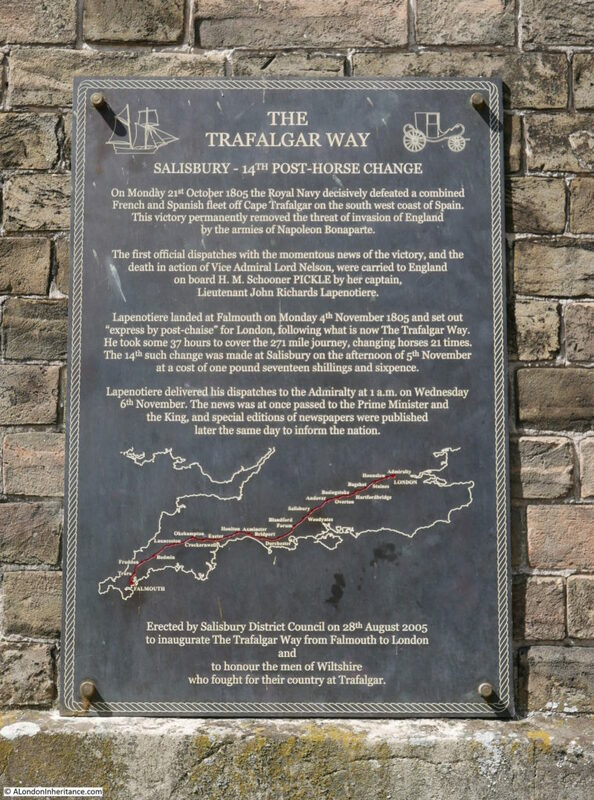 It was in Fish Row that I found a connection to London, a plaque commemorating the dash by Lieutenant John Richard Lapenotiere from Falmouth to London in November 1805 to inform the Admiralty of the victory at Trafalgar and the death of Lord Nelson. The plaque records that it took 37 hours to cover the 271 miles between Falmouth and London with 21 changes of horse, Salisbury being the 14th change of horse on the afternoon of the 5th November 1805. There are apparently many more plaques marking the route taken by Lieutenant Lapenotiere from Falmouth to London including a number of plaques in London which I have not noticed before, however the wonderful London Remembers site has found them. 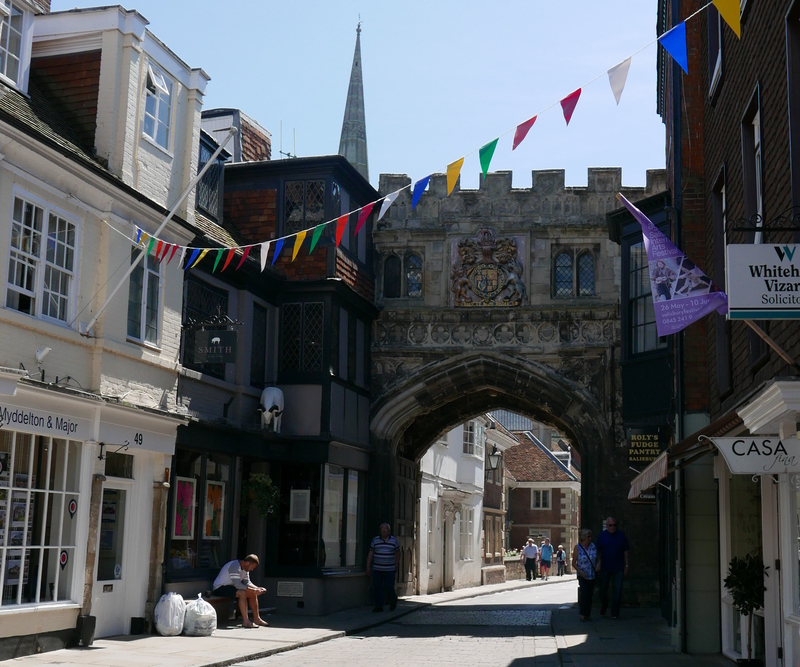 My visit to Salisbury was all too brief, it is a fascinating city which deserves more time. I shall have to return, however I am pleased to have found three more of my father’s photos outside of London. 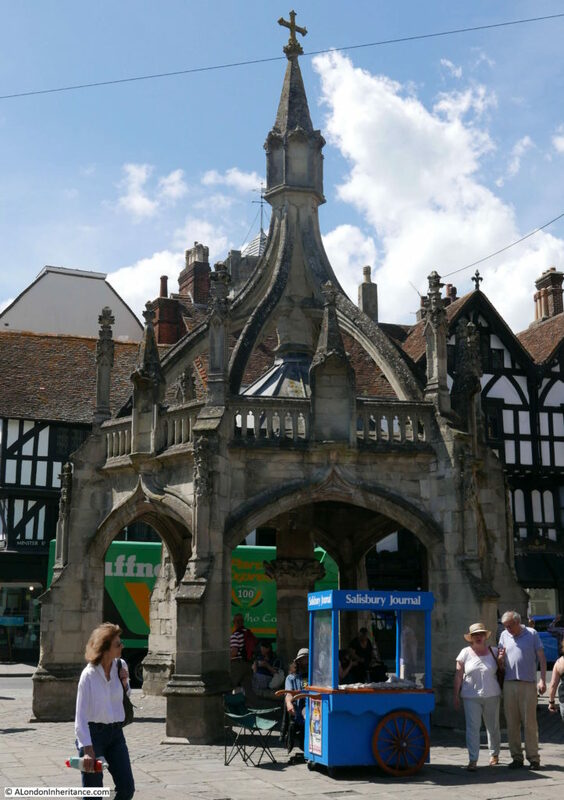 This entry was posted in Cycling Around Britain and tagged Salisbury, Salisbury Cathedral on June 18, 2017 by admin.